However, today I don’t want to give you a general introduction into these quite interesting categories, but rather have a look on a special type of gin, which is closely interwoven with the prohibition era. If you should have watched The Simpsons cartoon series with its pointed remarks and allusions on American society, you might also know the episode “Homer vs. The Eighteenth Amendment”. As a reaction to a renewed prohibition, in this episode Homer Simpson uses methods to illegally produce alcohol that also historically were flourishing during prohibition. Among other things, the production and storage of moonshine alcohol in bathtubs are shown. 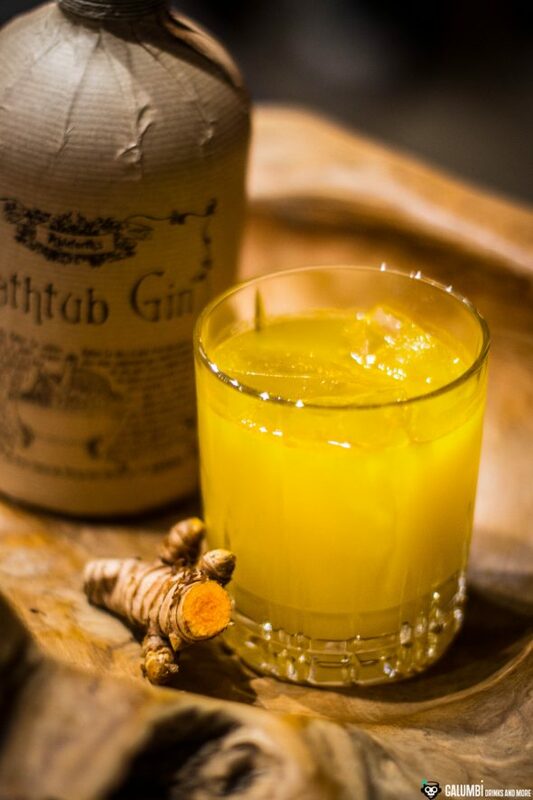 And this has actually been one of the low-points in the history of alcohol and particularly in the history of gin, since the so-called Bathtub Gin was born. It is called this way because people have infused moonshin alcohol in their own bathtubs with juniper in order to get their own gin. According to today’s EU law, under certain conditions (e.g. a sufficiently high alcoholic strength) you could call such a spirit a compound gin. 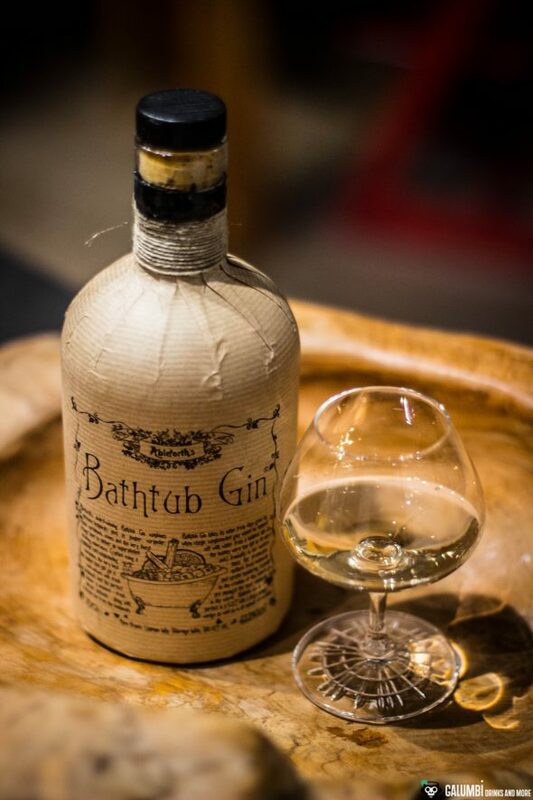 However, you might not really wonder that the historically documented Bathtub Gin is not said to have been what you would call a great treat. 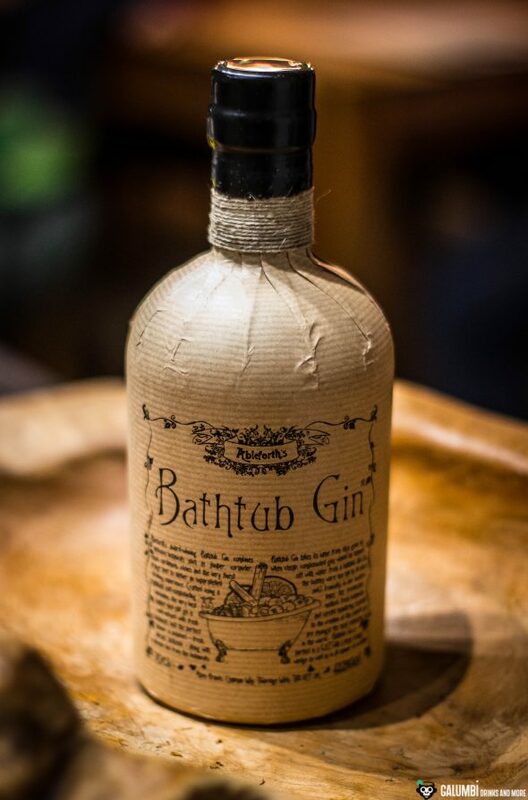 So it is perhaps all the more astonishing when we’re once again able to discover a Bathtub Gin today in the range of numerous retail assortments. 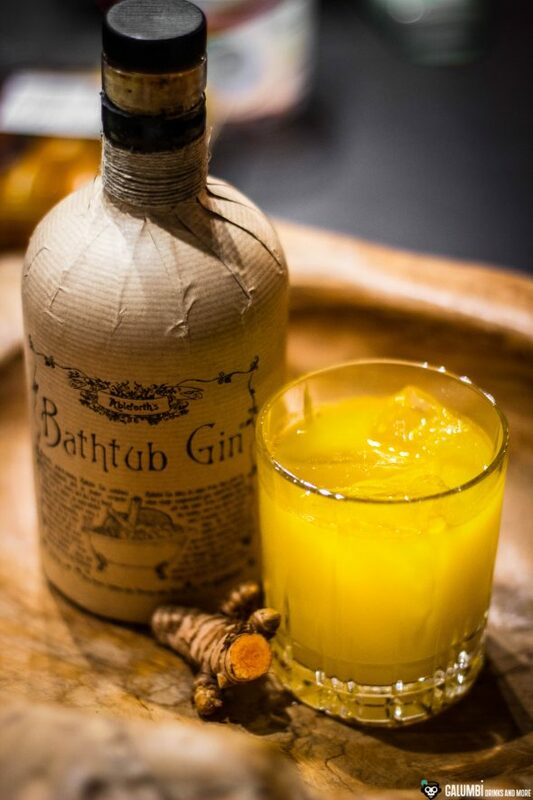 I am talking about Ampleforth’s Bathtub Gin which was formerly known as Professor Cornelius Ampleforth’s Bathtub Gin (what a name!). [Edit: in an earlier version of this article, the headline was accidentally Ampleforth’s Bathtub Gin instead of Ableforth’s Bathtub Gin. Why the manufacturer is playing such a crazy game with this name and why they are openly changing it is a mystery to me]. The marketing story around this very handsome bottle, designed in an older style, is that of a slightly confused professor who also makes gin in a bathtub in his local laboratory. In fact, this bottle is not really a Bathtub Gin in the Prohibition style, since it was distilled on copper potstills in England – yet the botanicals were added by cold maceration. So why is it called a bathtub gin then? This has to do with the marketing story of the Ampleforth’s Bathtub Gin, which is sold as “Ultra Small Batch Gin”. Therefore, the producer claims it is made in tiny batches of 30-60 bottles each (the company behind this gin is actually the mail-order company MasterofMalt.com). This is as small a number as the one of the Bathtub Gins produced during prohibition but made in the dwelling of Professor Cornelius Ampleforth…. not convinced? Neither am I! Be that as it may, the most interesting thing is how the gin ultimately performs in terms of taste. The botanicals listed by the manufacturer include juniper, orange peel, cassia cinnamon, cloves and cardamom. Ampleforth’s Bathtub Gin is bottled with an ABV of 43.3%. 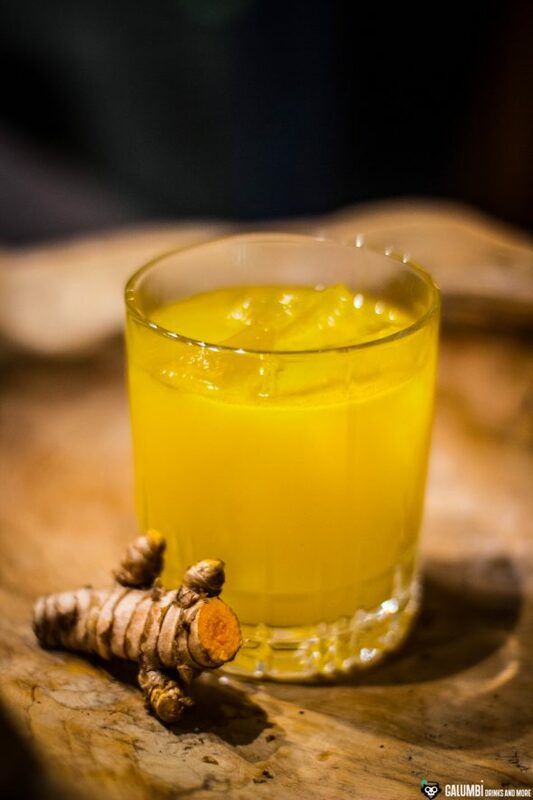 Aroma: The gin, which shows a slightly yellowish color due to the cold maceration done after the distillation, initially exudes a very pleasant, slightly sweet aroma of candied orange peel, cardamom, juniper and some herbaceous notes. Spruce needles and brown sugar are also present. During a blind tasting, I would have guessed an Old Tom Gin. Taste: Surprisingly strong juniper (on the nose it was by far not so superficial), in addition herbaceous, almost soapy notes (which are very interesting nonetheless). The orange peels are also clearly noticeable here, cinnamon and cloves also come through, while the cardamom remains surprisingly reserved. Overall a quite unusual gin, but well done. If you’re looking for a special gin, this one is recommendable. Finish: medium long, quite dry with juniper and orange peels again. Today’s cocktail is something very special, but also unusual. Moreover, I have to say: I am proud of this one because it is simply delicious. 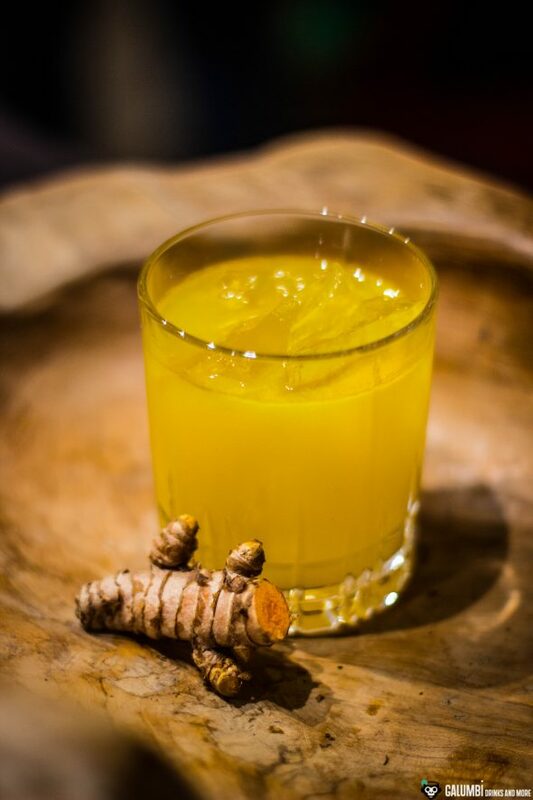 The three main flavours in this cocktail, which is basically a variant of a gin sour, are turmeric, apple and celery. 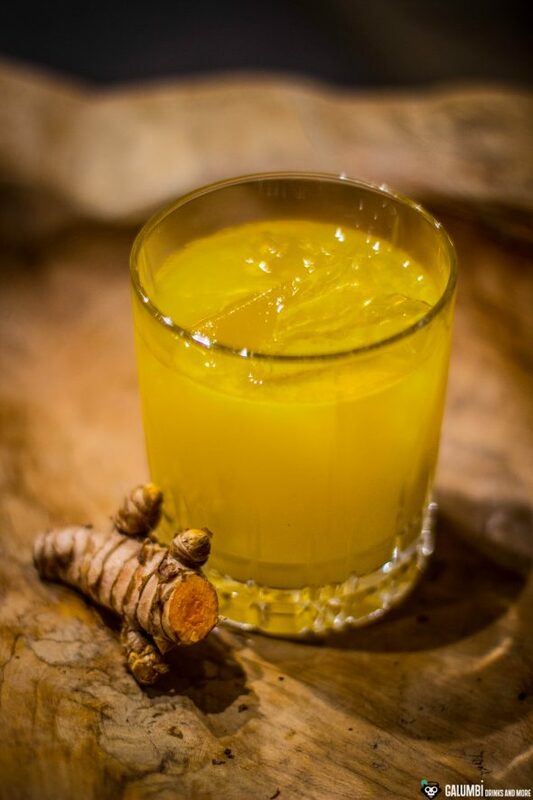 While the cocktail may look like an orange juice in a glass, its taste is completely different. Anyway, who needs orange juice if you can have such a nice cocktail? 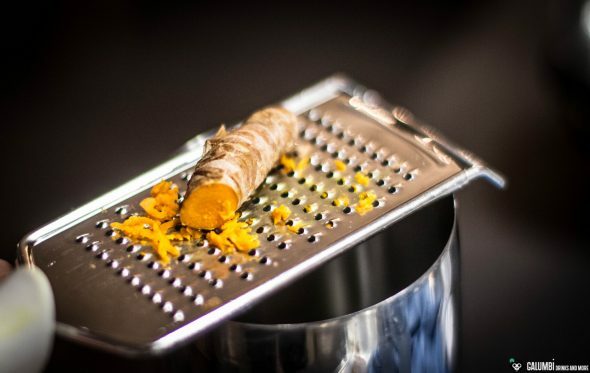 Getting fresh turmeric is not always easy in every supermarket, but it should be possible to find it in specialist shops or in larger assortments. Otherwise, it is advisable to make the fruit juices yourself in a juicer! The result will reward the effort with a very exciting, aromatic composition of fruity-spicy, slightly earthy-peppery and yet refreshing notes, which you should not miss! I’ve named the drink after a series of really annoying jokes from my youth about a yellow sheep (“Schaf” in German) which can be found in the most unlikely places. Preparation: Pour all ingredients except for the turmeric into a shaker. Peel the turmeric, grate finely with a hand grater, then add to the shaker as well. Fill with ice cubes and shake vigorously for at least 15 seconds. Finally double-strain into a glass filled with fresh ice cubes. Buying sources: At specialized retailers or online. Turmeric is not always available at any supermarket; it may be advisable to order it specifically from a specialized retailer.